All thanks to the booming handicraft industry in India, the art and craft centres seem to be a favourable investment destination. 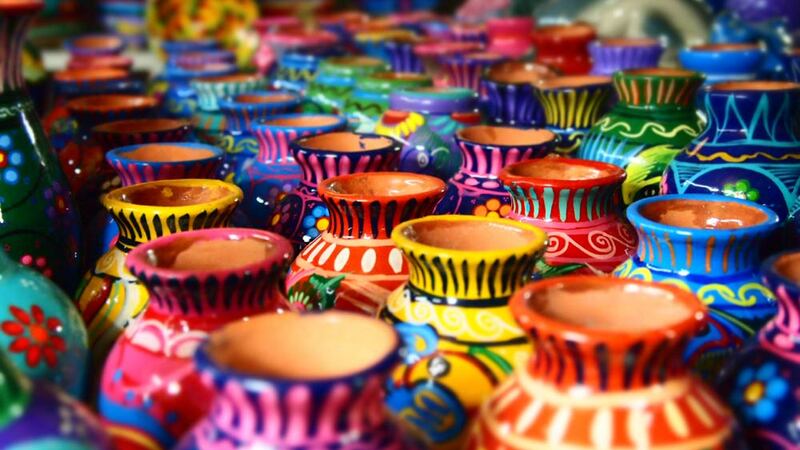 The Indian handicrafts industry is fragmented, with more than 7 million regional artisans and more than 67,000 export houses promoting regional art and craftsmanship in the domestic and global markets. Franchisors are expanding their reach across India and seeking partners to invest in art and craft centres. As per the Indian Brand Equity Foundation (IBEF), handicraft exports from India increased by 11.07% year-on-year during April 2016 and March 2017 to $3.66 billion. Moreover, Narendra Modi’s ‘Make in India’ initiative has further given a boost to art in India. Let us understand why entrepreneurs are finding it profitable to invest in art and craft centres. Unlike, primary and secondary education institutes, art and craft academies do not require massive real estate for staring the business. A small area upto 500 square feet can suffice the area requirements. Entrepreneurs can even set up art academies at their homes. Kiddie Arts is the art and craft venture of Master Mind Tutorials. Aman Parashar, National Head, Master Mind Tutorials shares, “A minimum area of around 200 square feet is required to set up a Kiddie Arts centre.” Another art and craft franchise brand, Konsult Art and Design Academy, enables one to start with low investment without any real estate commitment, right from a home or a centre. Art academies are an emerging franchise concept and have expansion scope pan-India. Be it metros or tier II cities, franchisors are aiming to spread their reach to tap the unorganised market. At present, Kiddie Arts has around 42 centres across Mumbai, Pune, Nasik, Bangalore, New Delhi, Durgapur, Varanasi, Chennai, Erode and Coimbatore. The brand operates only on franchise module, so all these centers are franchisee- run. Konsult Art and Design Academy has 25 centres and out of these 18 are franchisee-run. “We are expanding through franchise route and plan to add at least 15 franchise centres by this year end. Currently, we have presence in Bangalore, Coimbatore, Tirunelveli, Hyderabad, Vijayawada, Raipur, Ludhiana, Chandigarh and Mumbai,” shares Shahina Ashraf, Founder, Konsult Art and Design Academy. Art and craft academies are a lucrative venture for women entrepreneurs and homemakers as the investment requirements are minimal and franchisors provide work from home option also. “To run a Kiddie Arts franchise centre, set up cost is around Rs 2 lakh and franchise fee is Rs 60,000 inclusive of GST @ 18%. Basic requirement is inclination towards arts and flair for teaching and handling kids,” explains Aman Prashar of Master Mind Tutorials. Konsult Art and Design Academy also provides interest free financing and specialised training to womenpreneurs.